It was the end of the day and I still didn’t know What to Cook for Dinner until I saw this recipe. 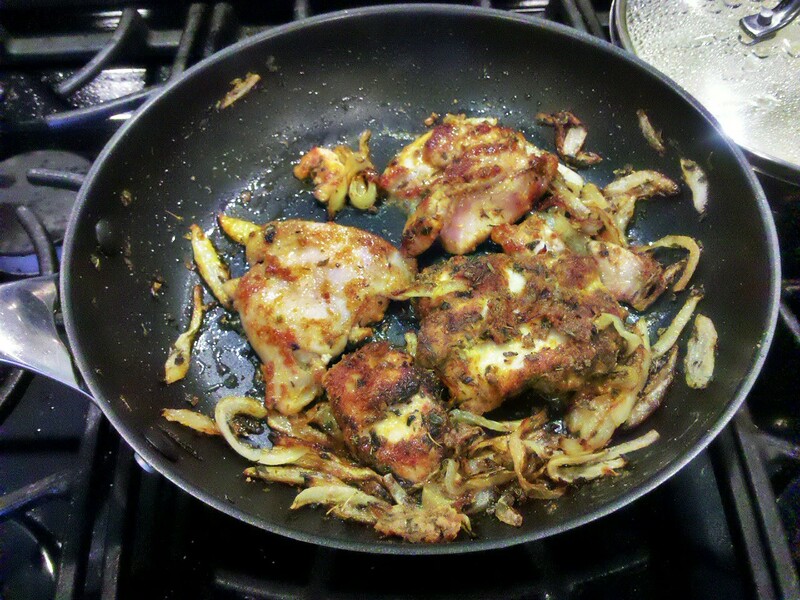 This chicken was delicious, not too spicy but spicy enough – and a cinch to make! Tenderize the chicken by pounding it in a clear plastic bag or plastic wrap until it has flattened out a bit. In a small bowl mix salt, pepper, cayenne, Chile Molido or parika, and garlic powder. Season the chicken all over with the spice mixture. Heat 1 tablespoon oil in a large skillet over medium high heat. 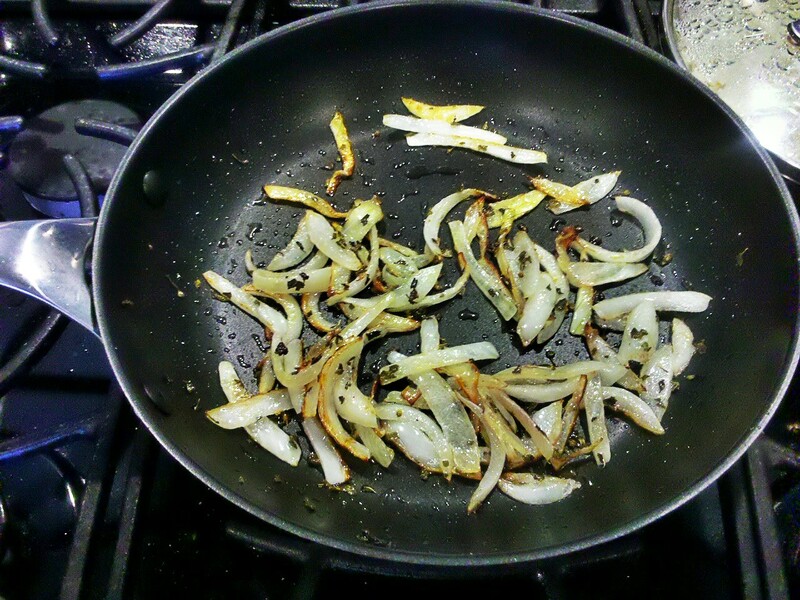 Saute onions until they begin to wilt. Add oregano and saute 1-2 minutes. Then reduce heat to medium. In the same skillet add the chicken. Saute 6-7 minutes on each side until golden brown. Sprinkle garlic powder on top of chicken and add lime juice. Saute for 1 more minute. Then serve. This recipe was inspired by http://rantingchef.com/2012/03/29/whats-for-dinner/. The chicken thighs sound like they were full of flavor. Thank you Karen. They were tasty. Hmm .. just got an idea this is a recipe that can be done in large batches to serve for a small party.